It is generally believed that the earliest inhabitants of the Indonesian archipelago were of Indian or Burmese origin. Later migrants known as Malays came from Southern China and Indochina at around 3000 BCE. Since the early period, the Javanese established trade with India and China. Prior to the arrival of Buddhism and Hinduism to Java, the native inhabitants practiced a form of animism. 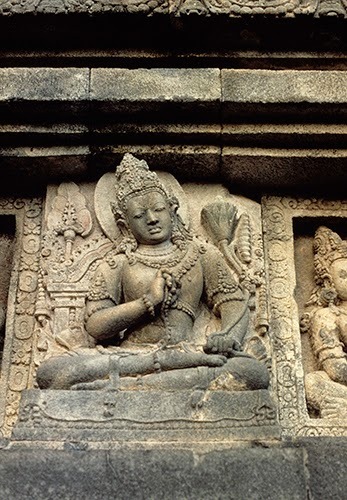 Hinduism was introduced from India through trade during the first century CE. Hindu kingdoms were established in Kalimantan, Sumatra, and Java between the 400s and the 1200s, some of which had also absorbed Buddhist influences. 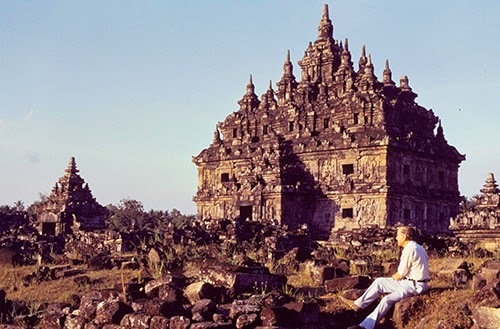 Javanese architecture began under Hindu influence, with a surge of Buddhism from about 750 to 850 (as evidenced by the monumental Stupa in Borobudur), and a second flourishing of Hindu architecture that lasted from the late 800s until the 1300s with the coming of Islam. The Siva Temple at Loro Jonggrang is the most preeminent of Javanese temples. It is part of a complex of at least 200 subsidiary temples and stupas, built of brick. The Siva Temple shows the tendency of late medieval Hindu architecture to be placed on larger and larger platforms. The tower of the temple is based on the Dravidian pyramidal style temple towers in Indian architecture, with much more elaboration in sculpture programs. The idea of the sacred mountain evolved in temple architecture during the late 600s in Southeast Asia. The mountain (Mount Meru, sacred in Hinduism, Jainism, and Buddhism) was considered the axis of the universe, and, as in Western pyramids, ziggurats, and even cathedrals, provided access to the divine. 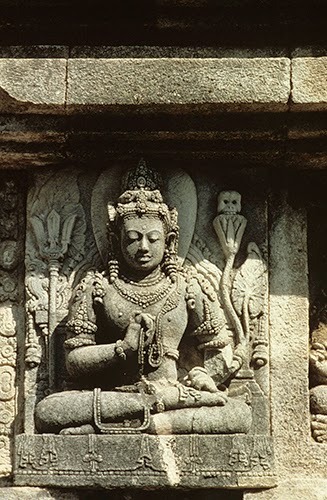 While the basic form of the temple ("candi") in Southeast Asia was similar from region to region, the elaborate and exuberant sculptural programs on the exterior are of greatest impact. The reliefs around the pedestal/platform of the temple show scenes from the Ramayana interspersed with niches containing sacred figures. 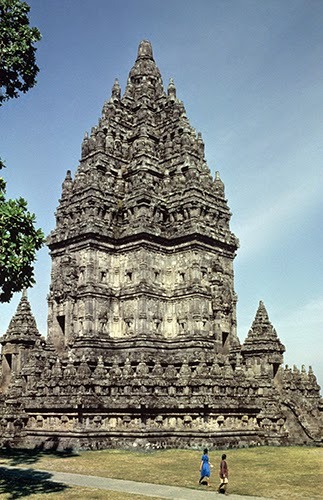 The sculptural style of Prambanan is a combination of the classic Shrivijaya Kingdom (750–850 CE) style seen at Borobudur, and elements that hark back to the Gupta period (320–647 CE) in India. The entrances on all four sides are a tradition dating back to early stupas and other Buddhist architecture. This temple, where Buddhism was worshipped, is part of a complex of 248 smaller temples and stupas. Ironically, it was only used until about 1006, when a nearby volcano erupted and covered everything in volcanic ash. In 1991 the Borobudur was added in the UNESCO world Heritage list. Regardless if you are interested in architecture, religion or culture, it's impossible to ignore the achievement of the builders of the Borobudur, which is one of the wonders of Asia.